The next inspirational supermom on my list is called Hanne Kjersem Engebraaten. This beautiful and charismatic 35 year old girl owns her own yoga studio, and is the mother of Bodhi, 5 years. 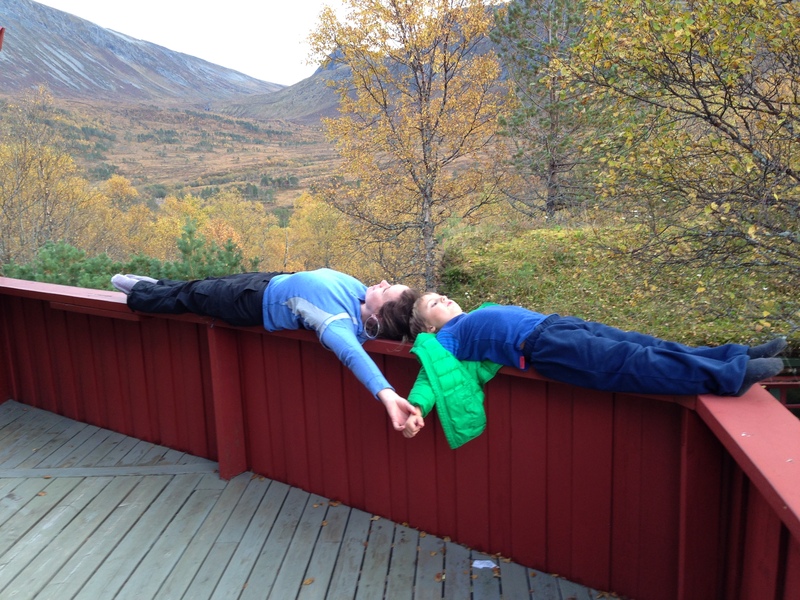 Hanne started teaching yoga at the age of 21 years, and is by now a well renowned yoga teacher in Norway. But her skills don’t stop there. She studied journalism, pre-med and child protective services. In the latter area she also worked for a while. The travel bug has taken her all over the world, and the list of places she has lived is long; Thailand, India, New Zealand, USA (San Francisco and Oregon) and Barcelona. The global girl from Bærum just outside of Oslo, has now settled down in the small coastal town Fredrikstad, one hour south of Oslo. «I live here with my 5 year old son, my amazing fiancée Endre, my dog Kali and our stubborn, fiery and beautiful shetland pony, due with foal next spring,» she tells me. In Fredrikstad she co-owns and runs the Yoga Studio called «Ashtanga Yoga Fredrikstad»; www.ashtangafredrikstad.no. I interviewed Hanne because as a mother and a wannabe business woman I do see how difficult it is to make the ends meet and satisfy everybody including yourself. I wanted to get her view on things, and maybe find a key to success. Her answers to my questions were beautiful. She puts into words what I felt too after having my first child. I am sure a lot of other mothers can identify with it. I have hardly edited any of her replies. – Obviously having children is one of the major changes in ones life, how did it affect yours? Having a child was for me as it is for most people, was a shocking experience. Nothing had prepared me for what was to come, as naive as it might sound. Now that my son is five, the shock has worn off, and I love being a mother. I love having the life of a mother. I love family life. I love the daily routines. I love spending time with him, I love talking with him, playing with him, reading to him, and listening to him. Yet as much as love being a mother now, it was in many ways a difficult love story to begin with. I had a hard time learning to cope with what I experienced as; «the loss of personal time,» a sense of losing my freedom, my independence, and my ability to live my life on a whim – which I had to a certain extent up until then. As much as I loved my baby, there were so many things I did not love. I did not love rarely having time to practice yoga undisturbed. I know lots of yoga teachers get right back into their practice having had a baby. For me it took over a year to really start practicing fully again, and I have learned to accept that my yoga practice is not the most important thing in my life any more. I did not love not sleeping a whole night for more than a year, and subsequently never feeling fully rested or energized. My son was not a great sleeper, and for the first 18 months, I was always feeling tired. Now that feels like a distant bad dream, but in the middle of it, it was torture. I did not love my inability to travel to India – my spiritual motherland that I used to visit at least once a year. Having had the freedom to travel pretty much wherever whenever before my baby came, that was a hard thing to swallow. I did take him to both Thailand and the Caribbean before he was two, but traveling with a baby is not the same as traveling solo, which was my greatest joy before motherhood. There were many things I found very difficult, the list goes on. Off course I realize it is like this for many new moms, but it is not talked about much, and I certainly was not prepared. I think I went through a sort of a grieving process over my old life, as I simultaneously fell in love with my son, and found my way into a new way of living as a mother. Having a baby has changed me for the better, I believe. I remember talking to my teacher Alexander about yoga and practice when Bodhi was almost a year old. I was lamenting about never having time to do my asana practice, and he said something that I will never forget. And I did. I did surrender, and by doing so I learned a great deal, things I cannot even put into words. But the scope and depth of my yoga practice today is greatly expanded by having been blessed with motherhood. And I am so very grateful to my teacher for bridging the gap between being a yogini and being a mother for me, back then, when I was exhausted, sad, tired, frustrated and confused. – You have been a dedicated yoga practitioner for 15 years, and this requires time and focus. How do you combine this with being a mother? Having had a regular and mostly daily yoga practice since i was 21, I´ve had to let the steady routine of that go. Before having a child, I would get up in the morning, have a coffee or a tea, sit with myself for a while, and then get on my mat for some 90 minutes, or drive to the studio and get on my mat. Having a child in my life, I now have to fit my yoga practice in where there is room. I am lucky though, that it is part of my job to have a practice, and so I can spend time practicing when I am at work. I do have to schedule it in, though, because it is very easy for it to be put at the bottom of the to do list, which is endless – as it is for most working moms. 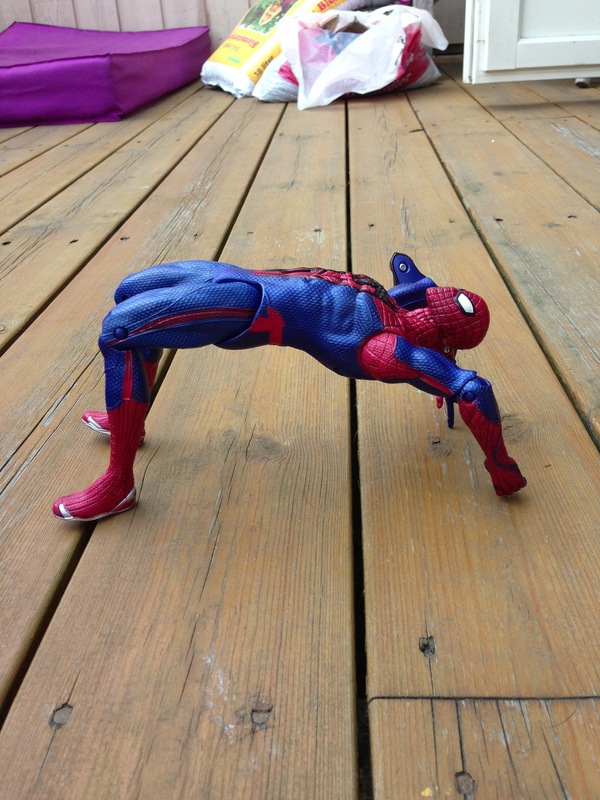 Before I had a child, my yoga practice was religiously at the top of my priorities. It is still high up there, but surrendering it, and adjusting to having other things come before that was challenging. I´ve learned to value the time I do get to spend on my mat, and I´ve become much more flexible about it (haha, no pun intended!). If I cannot fit it in one day, that´s fine. I´ve learned to live with the fact that I cannot always have it the way I´d personally prefer, and I´m okay with that. My friend Pernille who´s a mother of three, and also a yoga teacher, said to me once when I was frustrated about this; “Yoga is supposed to make you more flexible, Hanne – not less.” That is as funny as it is also blatantly true, and I´ve remembered it ever since, and adopted the attitude. Flowing with life instead of struggling against the current is actually a yogic concept. Surrendering to life and what it throws you, and embracing it are important lessons. Motherhood has a way of bending you into the flow, even if you initially don´t want to. I don´t practice as regularly or as much as I did before, yet I´m so much more grateful for the practice now. And I believe that this experience of surrender and letting go has done something to my yoga practice, making it more sacred, deeper, more valued and precious to me. Motherhood humbles you, and that is a beautiful and sacred thing. –You have also followed your dream and opened your own yoga studio. Being a self employed mother I have an idea of what this requires, how have you experienced it? It is challenging. I´ve learned many things along the way, and it has been difficult, terrifying, wonderful and rewarding. By far the greatest thing I’ve learned, and the most difficult thing to embrace, has been to realize that I need others. Really, I cannot do it on my own, not in any aspect. I’ve learned that I have to ask for help, even though that is hard for me. My independence that I loved so much in my 20´ies have been sacrificed on the pyre of following my dream. From the sacrifice came something much greater, being part of something together with the people I love. Depending on others is something we are so afraid of in our culture, but surrendering into it, and embracing it has brought me great rewards. Depending on people has allowed me to experience a deep bond with them, whether they are friends, family or colleagues. And I can easily say that I don’t want my independence back. I love relying on people, and having them rely on me, I love the depth and beauty it brings to my relationships, and how much truth, acceptance, love and beauty it has shown me. It has allowed me to experience love for myself and others in ways I had no idea existed. I am blessed with a great fiancé who supports and helps me in all areas, wonderful parents who help out much more than I could ever ask for, and I have great friends who support me emotionally in times of doubt. I also have wonderful partners in the studio, that teach me every day about love, friendship, yoga, and keeping the dream alive. Being a mother and business owner is something I could never have done alone. Yet I am also lucky enough that I can bring my son with me to work whenever I want. The studio is open to children and family, single parents often come in with a child in tow, who gets to hang out in the shala while mom/dad practices, or they take part in class, in their own child-way. I am hoping to have another baby at some point, and if and when that does happen, I will have to bring my baby with me to work much of the time. I am lucky that I have the kind of work where a baby is not a hindrance for me to do my job, and I am making a conscious choice for my studio to be child/baby/mother friendly. –Do you feel like you have found a way to balance your life , and if so do you have any advice to other mothers or mothers to be? A balance of life. No, I actually do not think I have found a way to balance my life, and I don´t think I ever will. Life is so ever changing, that once I´ve found a balance, something shifts, and I have to re-figure it all out. So I´m trying let go of struggling to find a balance, a way to live. What I am discovering instead, is a sense of deep trust, and a willingness to surrender into what life throws me. Not being a great fan of unsolicited advice, I think that will have to be my advice to other mothers/mothers to be. Try to surrender. Trust life, don´t try to control it. Experience life and motherhood, in all its forms, good, bad and ugly. Love the changes, as much as you can. Love the challenges. Cry. Ask for help. Love. Forgive. Flow with life, with your child, with motherhood as it changes from year to year. Becoming a mother will be your greatest challenge, but also your greatest reward. Don´t plan, as life and motherhood cannot be planned, but trust, and experience life, your motherhood and your child every day.